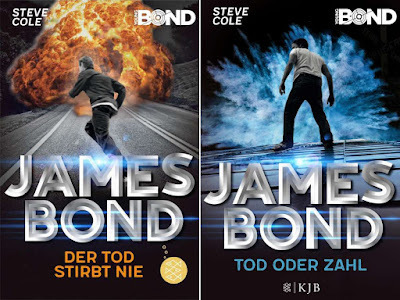 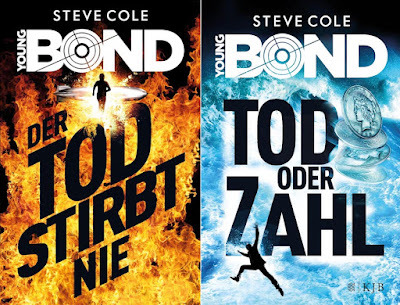 Steve Cole's first two Young Bond novels, Shoot To Kill and Heads You Die, will be released in Germany in May with translations by Leo H. Strohm. 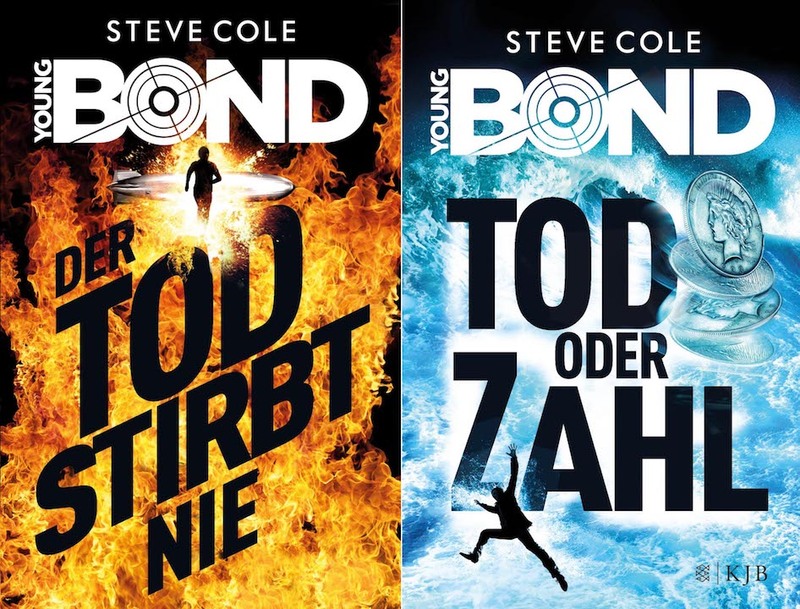 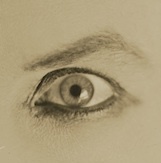 Below are the (okay) covers. 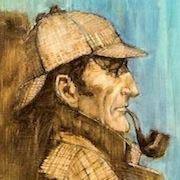 Thanks to CommanderBond.net on Twitter. UPDATE: It appears publisher KJB has decided to abandoned the above designs and will release the books with cover art based on the UK editions (below).